"Colonists Move to New Land at the Beginning of New Era [Scandinavian Colony]." Scandia Journal. July 21, 1938. [3 pp.]. (Reel: S 1802). Montgomery, W.B. "The Scandinavian Settlement in Wolf River Township." Illustrated Doniphan County. Troy, KS: Weekly Kansas Chief, 1916. (Reel: LM 428, no. 2, p. 173). "Scandinavians in Russell County." Russell County Clippings. Topeka, KS: KSHS, 1905. (K/978.1/-R91/Clipp./v. 1/p. 80). Woman's Kansas Day Club. "Scandinavian in Allen County." In "Human Tapestry of Kansas." 1951. (Vertical Oversize/K325.1/W84/2nd dist.). Anderson, R.B. "Coming of the Danes." Immigration Clippings. Topeka, KS: Kansas State Historical Society, 1901. (K/325.1/Clipp./v. 1/p. 27). Barr, Elizabeth N. "Denmark, A Community in Lincoln County." Souvenir History of Lincoln County, Kansas. Topeka, KS: Kansas Farmer Job, 1908. (K/978.1/-L63/B27). Christensen, Thomas Peter. 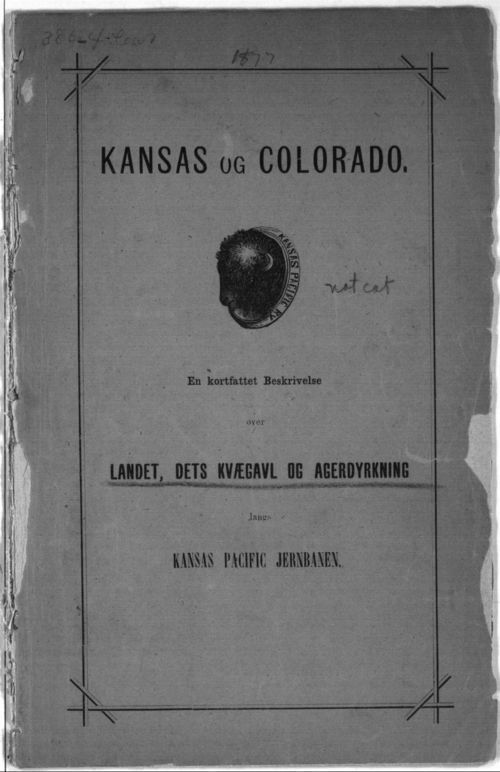 "The Danish Settlements in Kansas." Kansas Historical Collections 17 (1926-28): 300-305. (SP/906/K13/v.17/p.300) Danes in Kansas as early as 1850s and settled in virtually every county. Fogarty, Robert S. "Brief Description of Hill City Danish Colony." Dictionary of American Communal and Utopian History. West Port, CT: Greenwood Press, 1980. (335.9/F687). 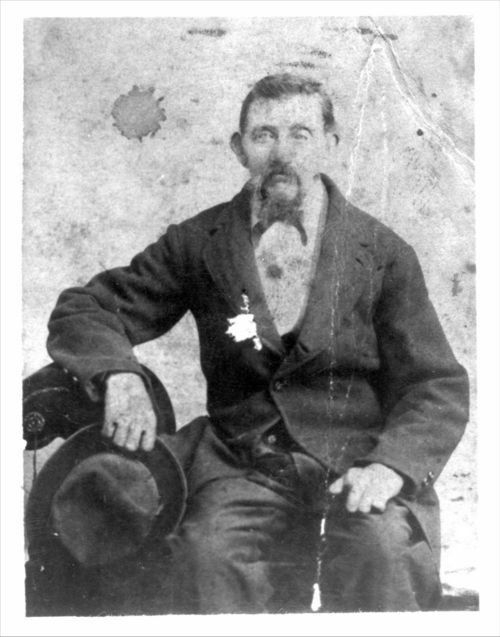 Forter, Emma E. "Danes of Marshall County." History of Marshall County. Indianapolis, IN. : B.F. Bowen, 1917. (Reel: MF 523). Hansen, Frederick J. Dane Immigrants Named Rasmussen, 1868-1903. Wichita, KS: Author, 2001. (929.4/H198). Lawson, Victor F. "Denmark, Kansas: Danish Settlement Was Started in Early Eighties." 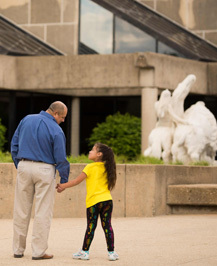 Topeka State Journal. Oct. 12, 1915. [ 1 p.]. (Reel: T 1432). Lindquist, Emory K. "The Scandinavian Element in Kansas." In Kansas: The First Century. New York, NY: Lewis Historical Publishing Co., 1956. (K978.1/B768/v. 1). 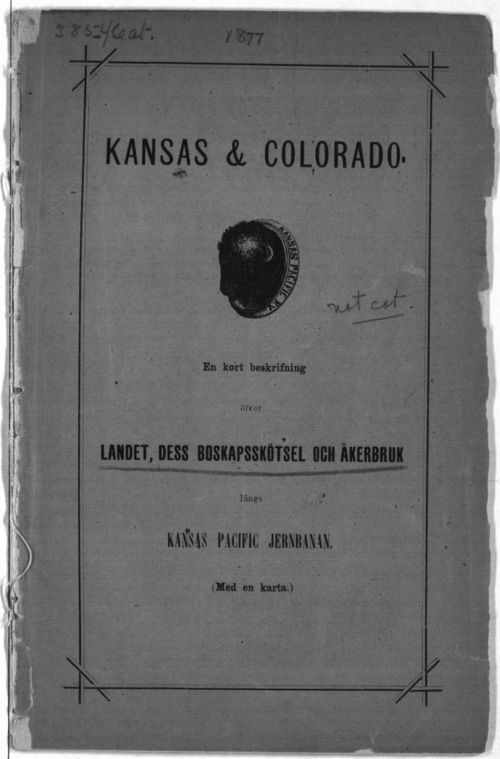 Miller, Kenneth E. "Danish Socialism and the Kansas Prairie." Kansas Historical Quarterly. 38 (Summer 1972): 156-168. (SP/906/K13q/v. 38/no. 2). Nelson, Otis. Little Dane Kid. N.p. : Author, n.d. (K/B/N335). Waldron, Nell B. "Danes in Kansas." Colonization in Kansas From 1861 to 1890. Evanston, IL: Author, 1923. (K/325.1/W147). Weeks, Vickie D.P. "Late Nineteenth Century Kansas Utopian Communities: The Value of Hostility in Commitment Development." Doctorate dissertation, Kansas State University, Manhattan, 1980. (Reel: LM 749). Lindquist, Emory K. "The Scandinavian Element in Kansas." Kansas: The First Century. New York, NY: Lewis Historical Publishing, 1956. (K/978.1/B768/V. 1/p. 325). "Moray Settlement." Atchison Daily Globe/. June 30, 1909. [1 p.]. (Reel: A 1443). "Staunch Norwegians Settled Upper Fall River Early in 1859." Eureka Herald. Aug. 21, 1958. [1 p.]. (Reel: E 717). "Swedes and Norwegians Important Factor in Settlement Here in 1868." Belleville Telescope. May 7, 1936. [1 p.]. (Reel: B 834). U.S. General Land Office. Kort Beskrivelese Over Det Offentlige Land I de Forende Stater I Amerika [Norwegian]. Washington, DC: De Forende Statem Trnckeri, 1873. (K/917.81/Pam.v.3/no. 14). Waldron, Nell B. "Colonization in Kansas from 1861to 1890." Doctorate dissertation, Northwest University, Evanston, 1923. (K/325.1/W147/c. 2/pp. 20-21). Woman's Kansas Day Club. "Norwegian Settlement near Leona, Doniphan County, Kansas." In "Human Tapestry of Kansas." 1951. (Vertical Oversize/K325.1/W84/2nd dist.). Bergin, Alfred. The Story of Lindsborg. Lindsborg, KS: Bethany Printing Co., 1929. (K/284.1/Sw3/Pam.v.1). Englund, John. "Reminiscences of Early Pioneer Days in the Salemsborg Community." Salina Journal. Apr. 7, 1936. [1 p.]. (Reel: S 319). Giannangelo, Emory. "The Migration of the Swedes to Lindsborg, Kansas." Doctorate dissertation, University of Wichita, 1947. (Reel: LM 323, no. 4). Lindquist, Emory. G. N. Malm: A Swedish Immigrant's Varied Career. Lindsborg, Kans. : Smoky Hill Historical Association, 1989. A volume in the Smoky Hill Historical Publications Series. __________. 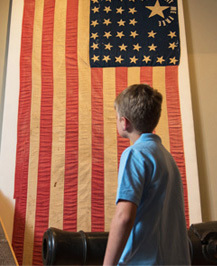 "A Land Company and a Community: The Background Factors in the Founding of Lindsborg, Kansas." The Swedish Pioneer Historical Society 9 (October 1958): 111-123. (K/325.1/Pam.v.1). __________. "A Proposed Scandinavian Colony in Kansas Prior to the Civil War." The Swedish Pioneer 9 (April 1958): 48-60. (K/325.1/Pam.v.1/v. 9/no. 2). __________. "The Settlement Develops." In Smoky Valley People: A History of Lindsborg, Kansas, 33-50. Lindsborg, KS: Bethany College, 1953. (K/978.1/-M24/L645/pp. 33-50). __________. "The Swedish Immigrant and Life in Kansas." Kansas Historical Quarterly 29 (Spring 1963): 1-24. 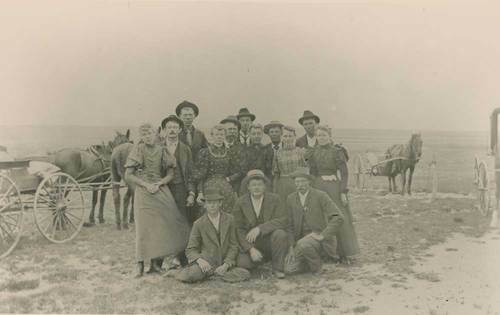 By 1890, Swedes were third largest immigrant group in Kansas. __________. "A Swedish Immigrant Woman Views Her Home in Kansas, 1870-1881: The Letters and Diary of Ida Nibelius Lindgren. Swedish Pioneer Historical Quarterly 16 (January 1965): 3-17. __________. "The Swedish Pioneer Historical Society." Swedish Pioneer Historical Quarterly 10 (October 1958): 111-123. (K/325.1/Pam.v.1). Lindsborg City Schools. "Constitution for the First Swedish Agricultural Company, of Chicago, Illinois." In The Lindsborg City Schools, 41-43. Lindsborg, KS: Author, 1927. (K/379/ L645/pp. 41-43). McQuillan, David Aiden. Prevailing Over Time: Ethnic Adjustment on the Kansas Prairies, 1875-1925. Lincoln: University of Nebraska Press, 1990. A study of Swedish, Mennonite, and French-Canadian settlers. Stephenson, George M. "Background of the Beginnings of Swedish Immigration, 1850-1875." American Historical Review 31 (July 1926): 708-723. General reference to Olf Olsson. Woman's Kansas Day Club. "Description of the Swedish Settlement, Pawnee Rock, in the Upper Arkansas-Valley in Southwestern Kansas of the United States." 1951. (Vertical Oversize/K/325.1/W84/5th dist. ).